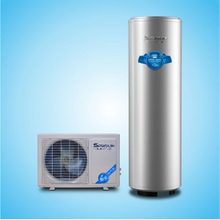 SPRSUN household heat pumps inclue monoblock air to water heat pumps and their split types. They are mainly used for domestic hot water heating. With very quick and easy installation, the max outlet water temperature of these domestic heat pumps is 60℃. Compared with electric water heaters, solar water heaters and gas water heaters, monoblock air source heat pump water heaters could help save energy by up to 75%. 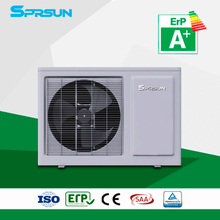 Like commercial air to water heat pumps, SPRSUN monoblock household air source heat pumps are safe, eco-friendly and energy-efficient.